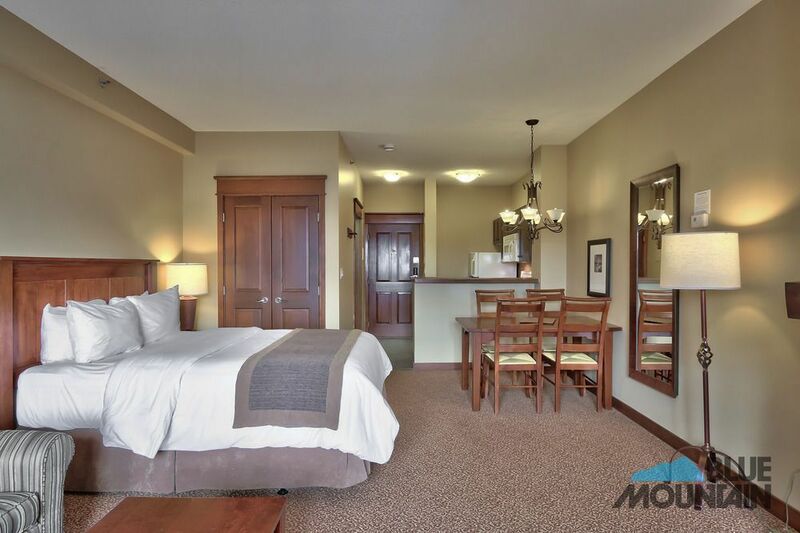 When you stay at Blue Mountain Resort in The Blue Mountains, you'll be next to a golf course, a 4-minute drive from Blue Mountain Ski Resort and 6 minutes from Collingwood Scenic Caves. This 4-star hotel is 0.6 mi (1 km) from Ridge Runner Mountain Coaster and 1.3 mi (2.1 km) from Craigleith Heritage Depot. Make yourself at home in one of the 765 air-conditioned rooms featuring kitchens. Flat-screen televisions are provided for your entertainment. Conveniences include phones, as well as desks and coffee/tea makers. Pamper yourself with a visit to the spa, which offers massages and facials. You're sure to appreciate the convenience of ski-in/ski-out access at this hotel, which also features indoor tennis courts and an indoor pool. Additional features at this hotel include babysitting/childcare (surcharge), gift shops/newsstands, and tour/ticket assistance. Getting to nearby attractions is a breeze with the complimentary area shuttle. Grab a bite to eat at one of the hotel's many dining establishments, which include 10 restaurants and 4 coffee shops/cafés. Need to unwind? Take a break with a tasty beverage at one of the 10 bars/lounges. Featured amenities include a business center, a 24-hour front desk, and multilingual staff. This hotel has 20 meeting rooms available for events. Self parking (subject to charges) is available onsite. Great suite and perfect that it is right in the village! It did feel a bit "dated" though but overall great for the one night we were there! The following fees and deposits are charged by the property at time of service, check-in, or check-out. - Self parking fee: CAD 15 per day - Crib (infant bed) fee: CAD 10.0 per night - Rollaway bed fee: CAD 20.0 per day The above list may not be comprehensive. Fees and deposits may not include tax and are subject to change.